Google provides a generous amount of free map services to all websites, so very few clients need to worry about their usage. However, if you want to make sure that your map usage stays below a certain limit and avoid unexpected costs, follow the steps below to set up a quota. 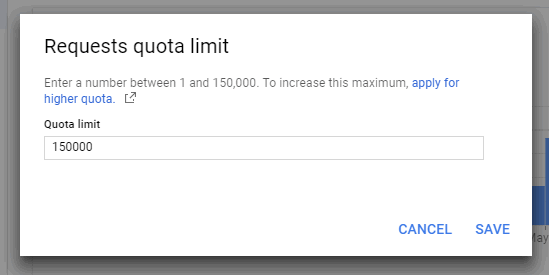 A quota is a daily usage limit for a specific Google Maps service. 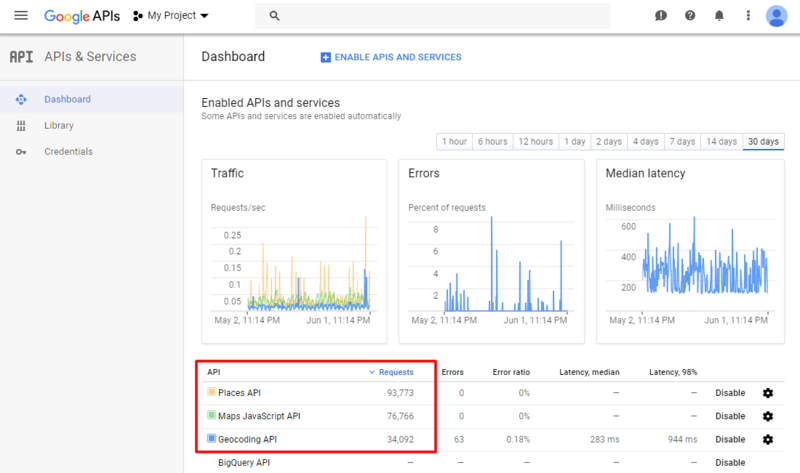 If your website exceeds the configured quota, the relevant service will stop working for the rest of the day. By capping the maximum usage for each Google Maps service, you can ensure you don't incur any unexpected costs. If you set a low enough quota, you can ensure that you stay under Google's free monthly usage limit and do not incur any charges from Google. The quota limit will reset each day. For details about how each service is used and the associated costs, please see our page explaining Google Maps licensing. 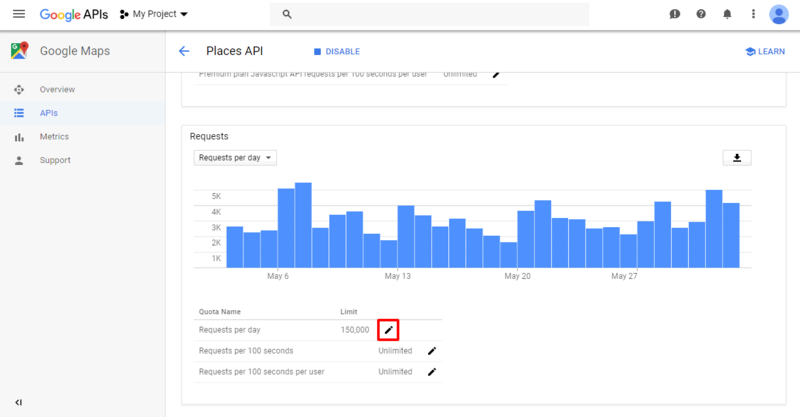 For the Places API (used for address suggestions), visitors will generally not notice if this service stops working, since they will still be able to type a full city or postal code into the search box to perform a search. Since the address suggestion service can be particularly expensive, it's a good candidate for setting up a quota. Click on the name of the service you would like to limit. In the popup that appears, enter the quota (limit per day) for that service. Keep in mind that Google's free usage limit is calculated monthly, not daily. Click Save to confirm the new daily quota. 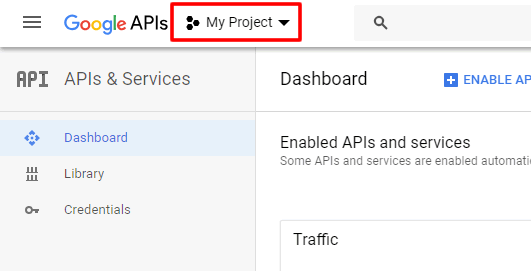 Quotas will limit your Google Maps usage; if you also want to track and monitor your current usage level, consider setting up billing alerts with Google. If you run into any issues or have any questions, please feel free to contact us for assistance.